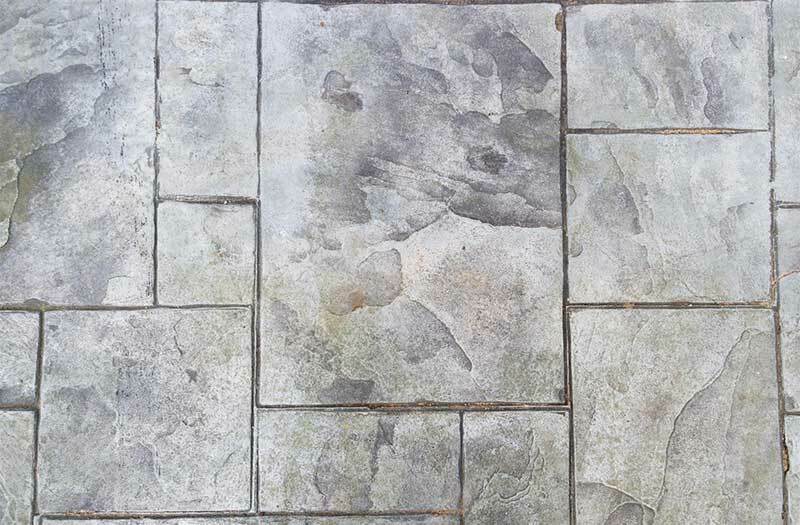 Stamped Concrete can be made to resemble materials such as Brick, stone, wood, slate and flagstone. 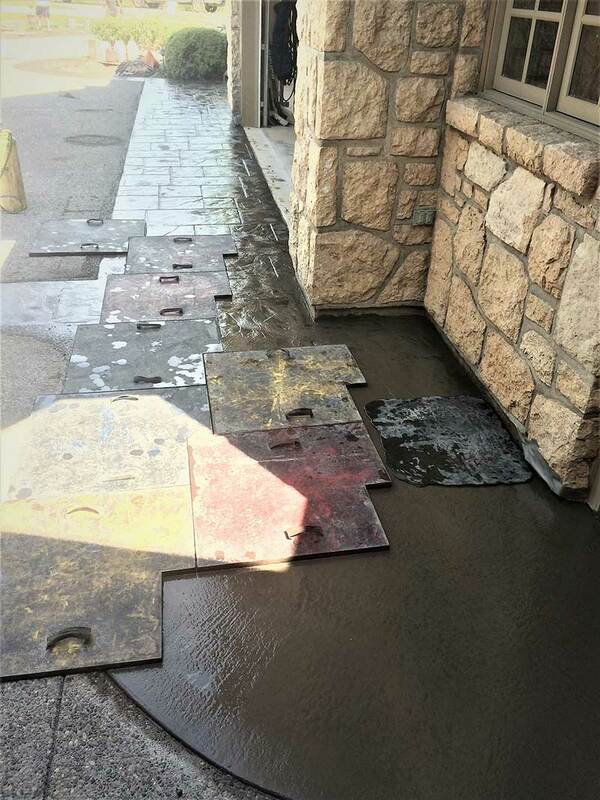 This Process of imprinting concrete is achieved by using a variety of Stamping Mats and, or skins on the concrete before it reaches its final set. We use integrally coloured concrete with a range of colours to choose from. Integral coloured concrete is advantageous over a topical colour harder because if any minor chipping or spalling happens the damage is much less noticeable because the damaged area is the same colour and not grey as it would be beneath a colour hardener. Borders can be added as well as decorative saw cuts to enhance the job. Possibilities are endless with the wide range of Stamp patterns, colours, Forming creativity and additions of concrete borders and banding. The Process starts with the removal of any existing surface, whether its Concrete Breaking and Removal, asphalt removal, or paver stone removal. Next, we excavate to the required depth and haul away all access materials. Next, the area to be concreted is formed. Gravel is then installed and compacted. Rebar is then installed either a 10mm bar or 15mm bar with an 8 inch to a 2-foot grid, and the concrete is then poured and stamped in its liquid state. After the concrete has been saw cut with expansion joints and washed, the sealer is applied. Stamped Concrete with high gloss sealer can be slippery with grades past 4%. For steeper grades, we offer additives to the high gloss sealer to make it less slippery or a non-gloss penetrating sealer. Another option with steep grades is to switch to a coloured float finish concrete which gives much more traction. Float finish can be saw cut for decorative appeal; please see the Float finish section for more information. All concrete cracks and decorative concrete is no different. If a contractor says he guarantees his concrete will not crack, then he probably has out of province license plates. We do our best by pouring at the proper slump and making sure it cures properly. 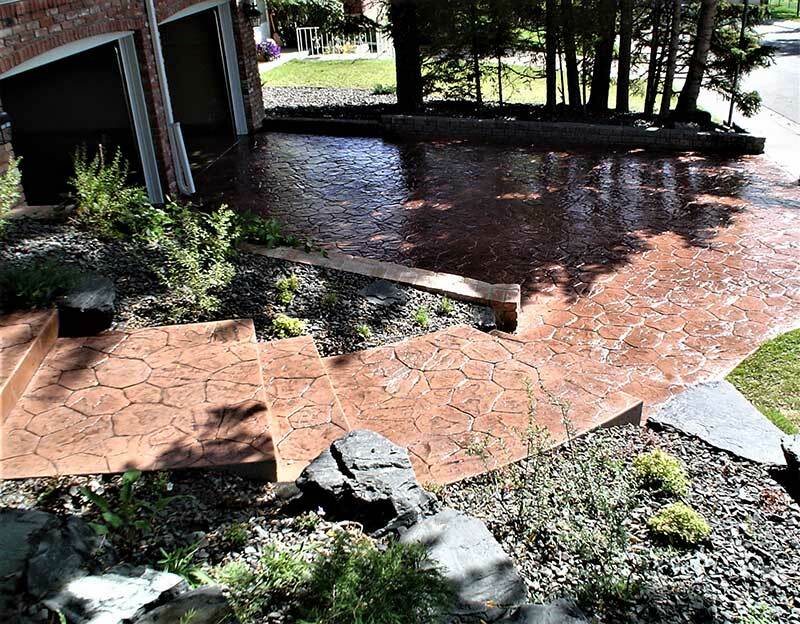 By keeping heavy vehicles off the pad, maintaining a sealer schedule and never using any ice melt products you will get maximum life out of your stamped concrete job. 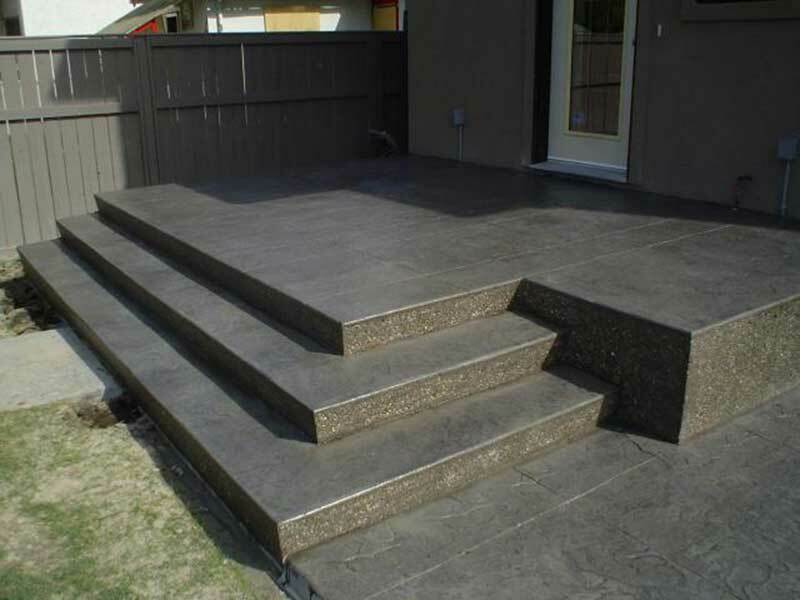 Pattern Concrete is the most expensive of the decorative concrete finishes. 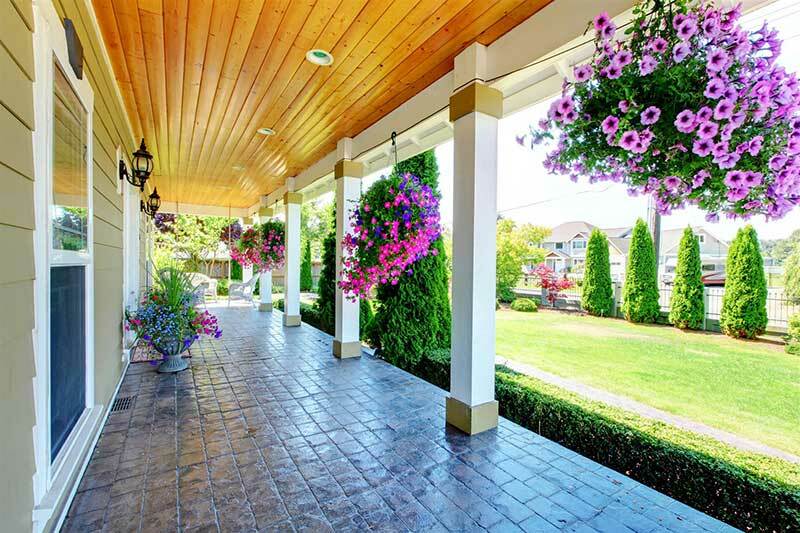 Many Factors can affect price such as Amount of square footage, and access to areas to be Concreted. Thickness effects price, as well as the amount of colour per cubic meter to be added to the concrete. Different colour pigments also affect pricing. We provide free estimates for an onsite visit is always best when dealing with so many concrete pricing factors. 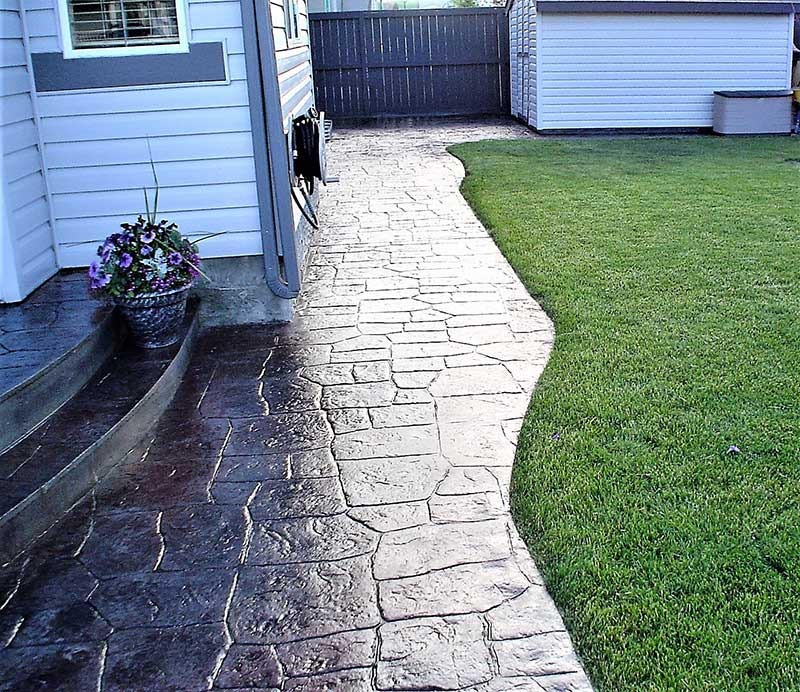 Diversified Concrete Services has been a Calgary concrete contractor for over 20 years. 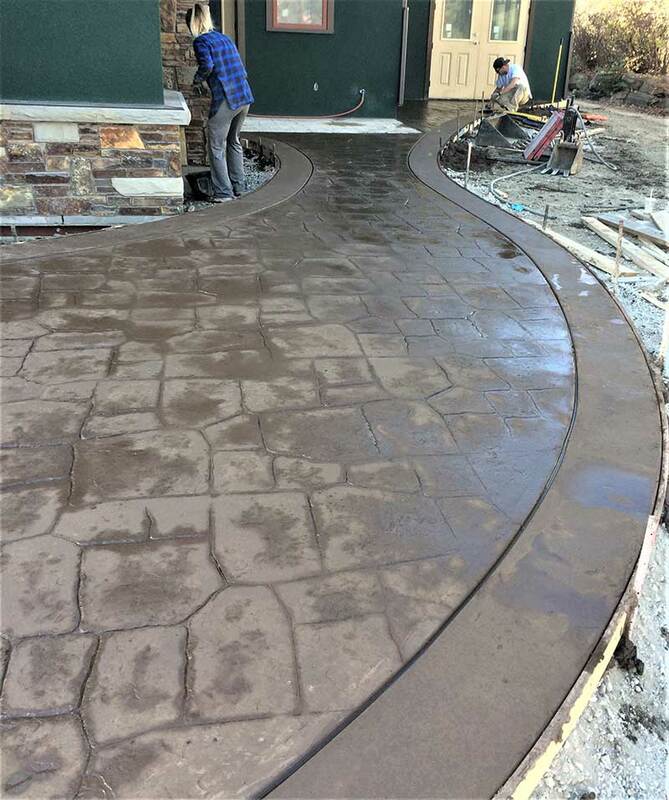 We specialize in many types of decorative concrete work; Please see our others pages for the rest of our many specialized concrete services. If you prefer a more traditional broom finish concrete or smooth finish concrete, we gladly can accommodate those concrete styles too.